From a beauty perspective, Squarespace wins every time. I have had other templates on different platforms that do not offer the same clean, easy to navigate design. When I visit a website, I can almost instantly tell whether or not it is on Squarespace, just by the aesthetics. All of their templates are customizable, so even if two sites use the same template, they are very distinctive. I have had other websites where there was a consistent worry about hacking and security. When you build a website with Squarespace, you have security built in, with no need to check every other day for upgrades or security issues. It allows small business owners like myself to focus on my business, rather than if my website is performing. Also, I have had almost no downtime since switching to Squarespace, while previously about twice a week my site would go down for a few hours. The switch has made it a better experience for my customers, and for me to provide excellent customer service. It is easy. Even if you are not technical, it is simple to figure out how the basics work. Since I build websites for clients, once I am complete I can show them how to update the back end and make their own changes for the future. Coding is not necessary, and the simple drag and drop system works wonderfully. I feel confident when handing over a website to my clients when it is on Squarespace because I know that anyone would be able to update it as their business grows. Also, SEO is already built into each site. This is huge for building a solid client base, while still making it much easier for the small business owner. You can read more about Squarespace's SEO here. The templates are all automatically mobile ready, so you will have a clean navigation experience from mobile devices. Templates on other platforms claim they are mobile; however, the design is clunky, items and wording shifts, and it is not pleasing to the eye. My website is my primary tool for gaining clientele, so it is important to me that it represents me in the best way. Almost forty percent of my daily site visitors are on mobile devices - it is just as important that you have a solid mobile platform as well as desktop. While their are other platforms that seem less expensive, for what you are receiving from Squarespace the cost is very minimal. There are no expensive plugins to purchase, and you can even have your domain name through them - it is all available for a low cost. They recently just changed their plans, and have made it more affordable now to obtain a full website with unlimited pages. Click here to view their different plan options and costs. When I switched to Squarespace, this ended up being the primary reason at the time. I was having issues with Wordpress and Woocommerce not even notifying me that I had a new order; clients were constantly emailing me, saying they were having issues placing their order, etc. The back end issues I was experiencing were frustrating and taking up too much time; I definitely needed a change! Squarespace's ecommerce platform is fantastic, making it very easy to add products to your store. The shipping is also much easier to set up than many other platforms I have experienced, with different options for any product sold. I also receive notifications, and have not had any issues with the platform in regards to products. As a small business, ecommerce is extremely important, as this is how I make a living so having a solid platform is crucial for my business. While I haven't had to use this very often, their email support is AMAZING. They are very fast, very helpful and friendly, and it is peace of mind that if something doesn't seem right, they are there to help. I have never received this type of service from any other platform, so it is perfect for someone who doesn't have the time or money to hire someone to help in an emergency situation. Blogging was probably my biggest surprise when I switched over to Squarespace. Previously, I was on Wordpress, who is known primarily for blogging; however, I didn't enjoy the process, and how it was uploaded. Squarespace offers a great blogging platform, and an easy back end use for drafts, reviews, and scheduling. Their app for Apple devices is remarkable - this allows you to blog on the go, and it has turned out to be an amazing resource for me to update posts while I am away from my studio, or while sitting on my couch at night watching television. Thanks to their amazing technology, I absolutely love blogging now! 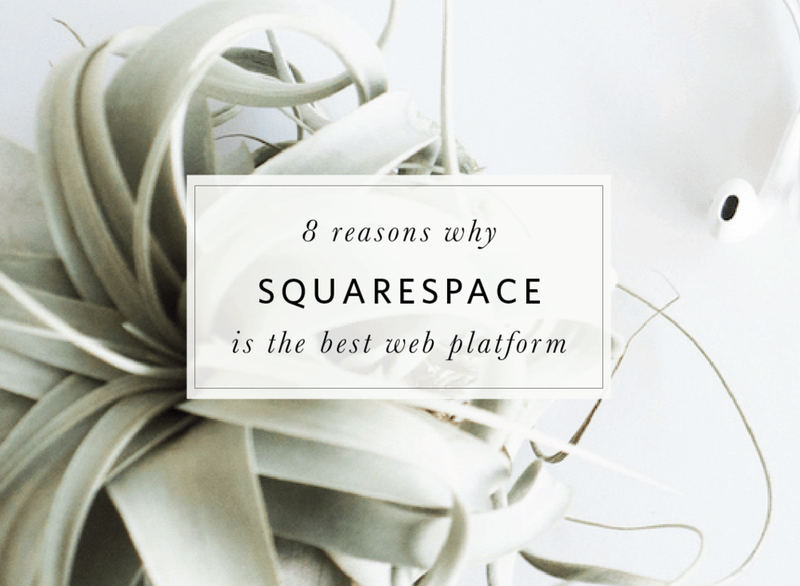 Do you have any reasons why you chose Squarespace over another platform?